This fun project is brought to you by Dixie Crystals. I've been dying to try one of these watercolor projects for a long time. The spider web design is one of my favorites. We are in full Halloween swing around here so I did this fun project with the girls today. First, you'll need to make the glue. Combine the water, Dixie Crystals Extra Fine Granulated Sugar, and all-purpose flour on low heat. 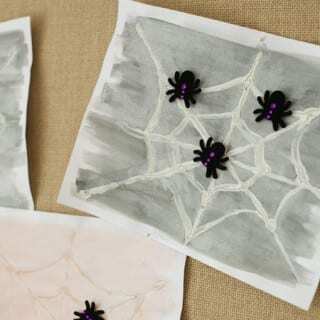 Paint a spider web onto the watercolor paper. It's ok if it's raised up off the paper. Allow your web to dry for a few hours or even overnight. Start painting! We used a mix of colors but you can stick to Halloween black and orange if you like. I recommend using a wide paintbrush to sweep across the full page. You want to completely cover the page so that your web comes through. You can make some cool hidden messages on paper like this! 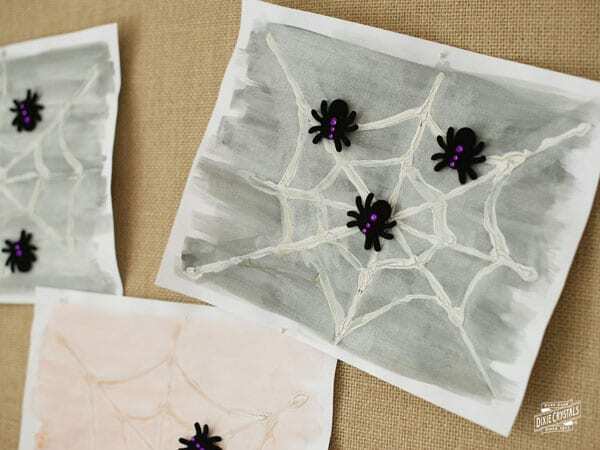 Add some spider stickers or some fun 3D spiders to glue to the paper to make it look extra spooky. Our web came out pretty good. I'm going to use more glue next time and make it tie died! Find more great crafts in the Dixie Crystals Kids Kitchen.